Since the inception of CWLEP in 2011 more than £450 million of funds have been managed to contribute to projects which further the Strategic Economic Plan for the region. £68.6 million was secured to provide infrastructure needed for private investors to commit to key employment sites in Coventry and Warwickshire. £6.2 million has been secured to address identified barriers to growth in rural areas. 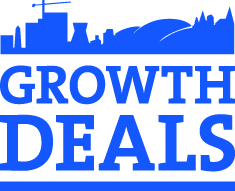 Private Sector involvement in the Growth Deal is exceptional, driving the programme and being involved in significant detail.